Today was declared FONDUE FRIDAY by the crew. I spent much of the day out of the shop but when I returned in the late afternoon the remnants of the cheeze and chocolate fondues were still on the lunch table and the chocolate was all gone. The crew obviously had indulged in an LOT of chocolate and sugar for spirits were very,very high and the work seemed to be going at a frantic pace. 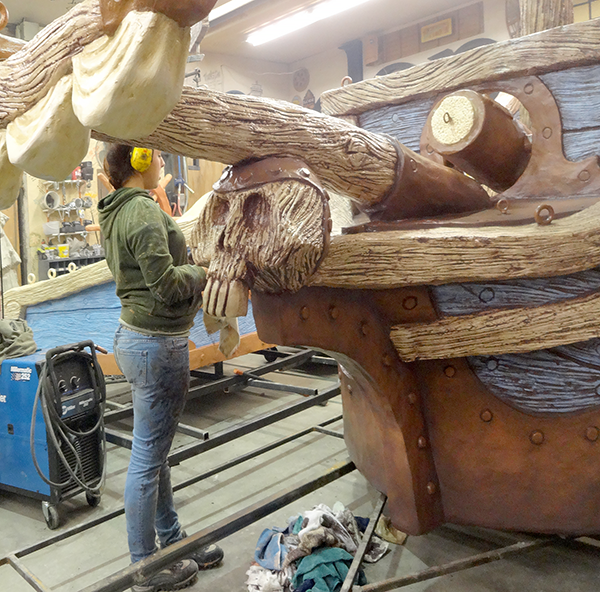 The result was that the ship was almost painted by quitting time and looking very fine. The welding crew had done lots of work as well. 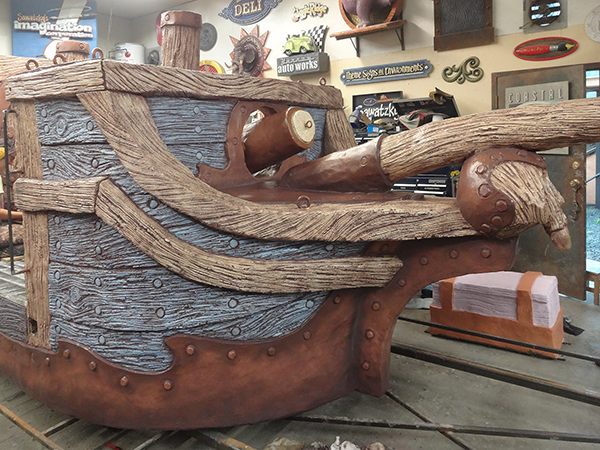 The Treasure Quest sign had also been polished off and was looking mighty fine. By noon on Monday we will be able to begin moving pieces out of the shop to make room for a whole new batch of features.